If in case your in any doubt team ‘our leap of faith’ has fallen completely and utterly under the Tuscany spell- we’re in love ! Pulling out of our parking space in Sorano. 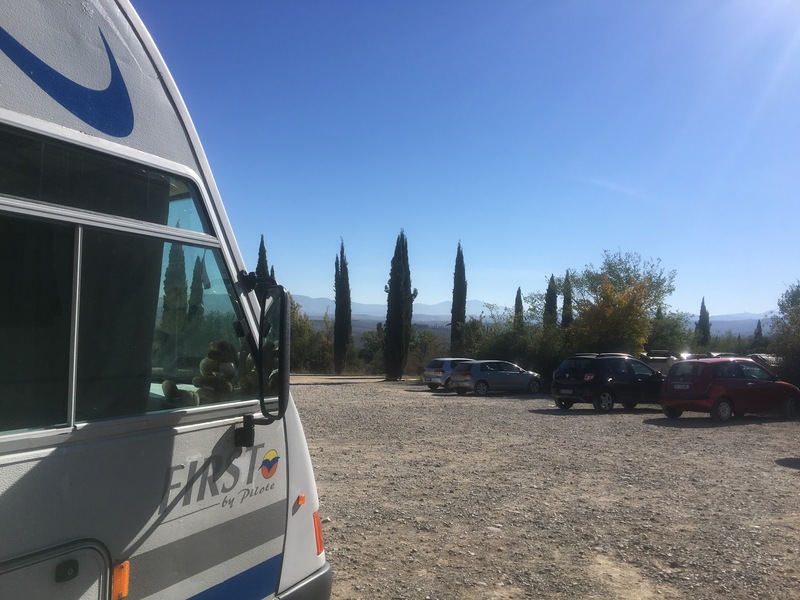 We were in for a driving treat, the hills around Sorano are steep and soft, and some clever soul had managed to create a road out of a cliff by simply delving into it until it was flat enough to drive. 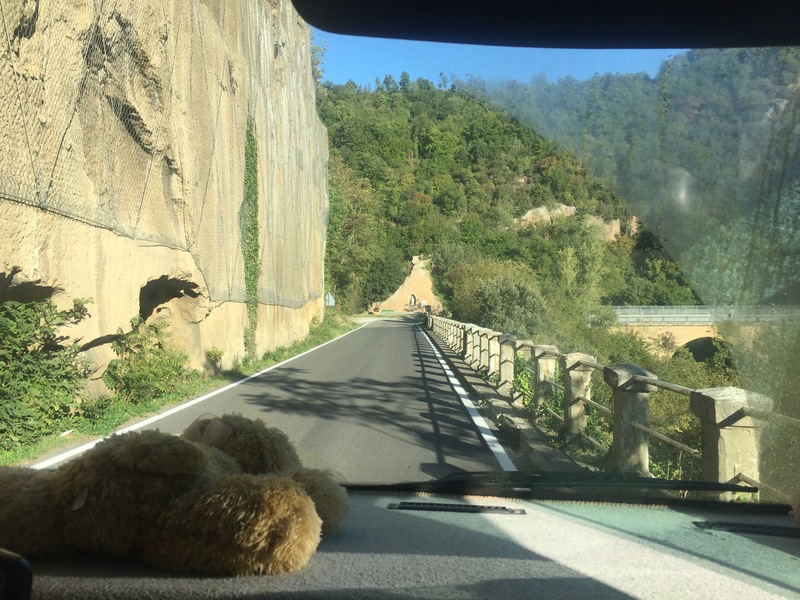 A few KM of amazing high sided cliff munching roads, with sharp hairpins the like I’ve not seen in a while we defend the hill and cross the narrow bridge across the gorge, and then start the slow and winding climb back up the other side. Today we are heading for the original Italian touirst attraction ! In fact the historic spa town has never been anything else than a tourist destination ! 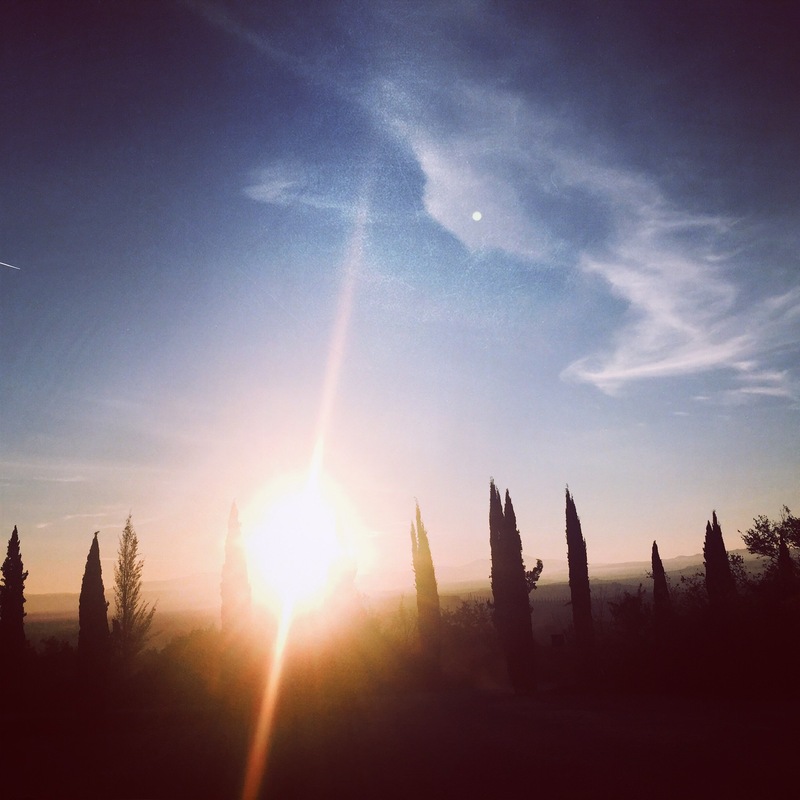 An idyllic town with legendary food and wine, in the middle of the Siena gentle hills. Can you possibly want more ? Home for the couple of nights is Bagno Vignoni , Tuscany (N43.030092 E11.620332). 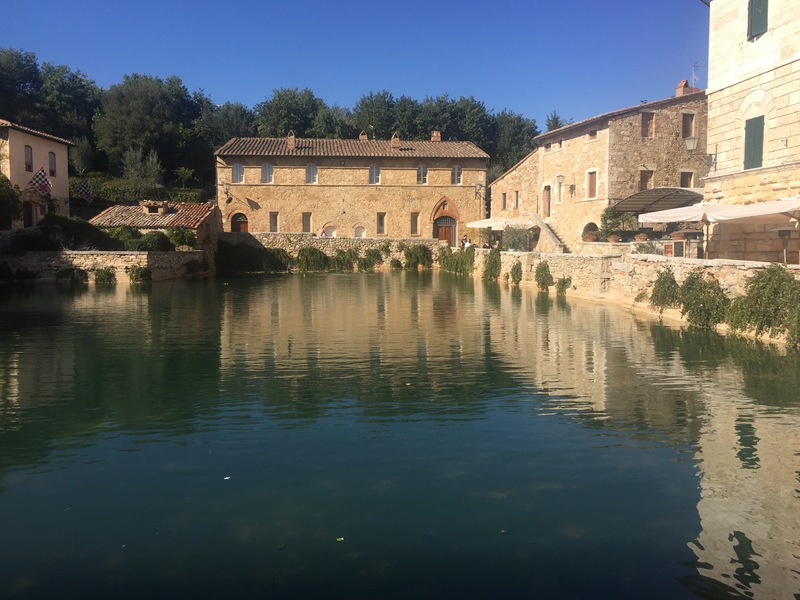 Bagno Vignoni is definitely a tiny village,set in the Orcia Valley. 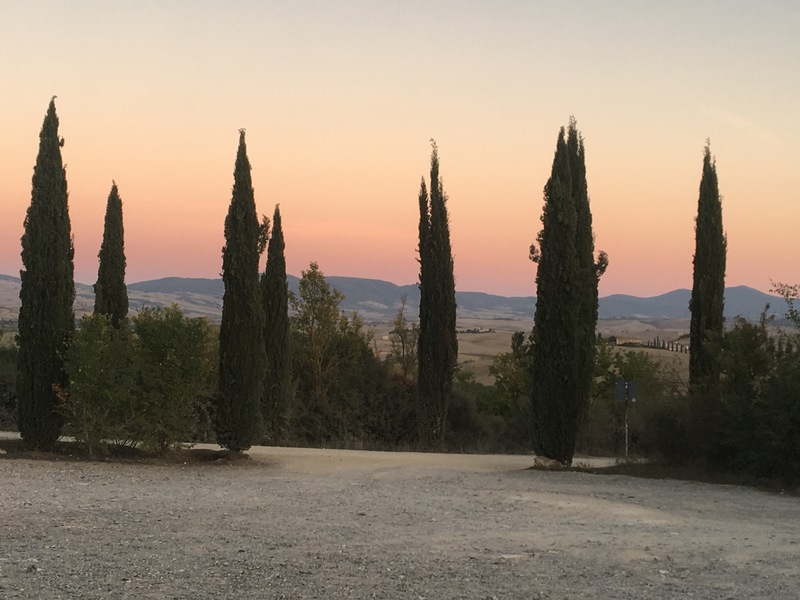 It is one of the many beautiful areas of the Siena surroundings that, as usual in Italy, enshrine thousands of years of history, amazing landscapes and views so stunning they almost bring tears to the eyes. 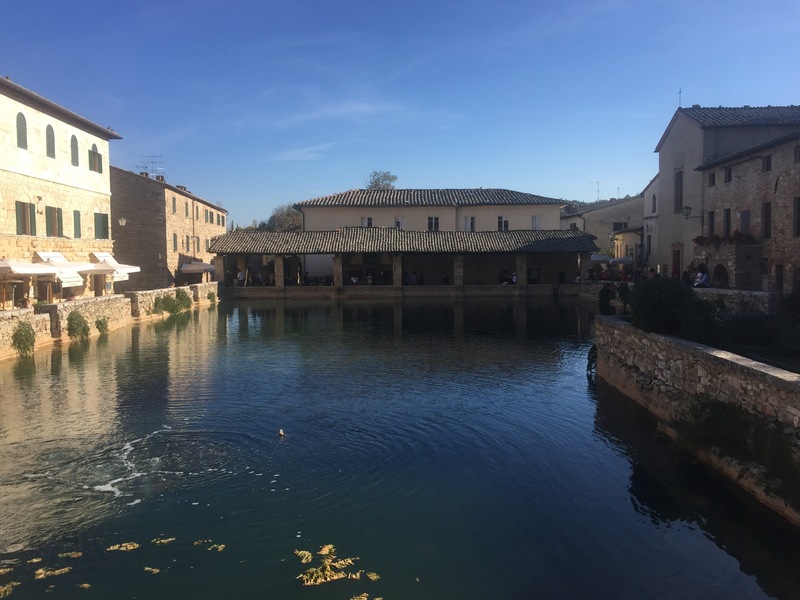 While today Bagno Vignoni is definitely off the beaten track, In Middle Ages it was an important coach station along the Via Francigena, the most important pilgrims’ route from France to Rome. This village has it all. A Roman settlement, a beautiful thermal pool in the very center of an stunning village square. 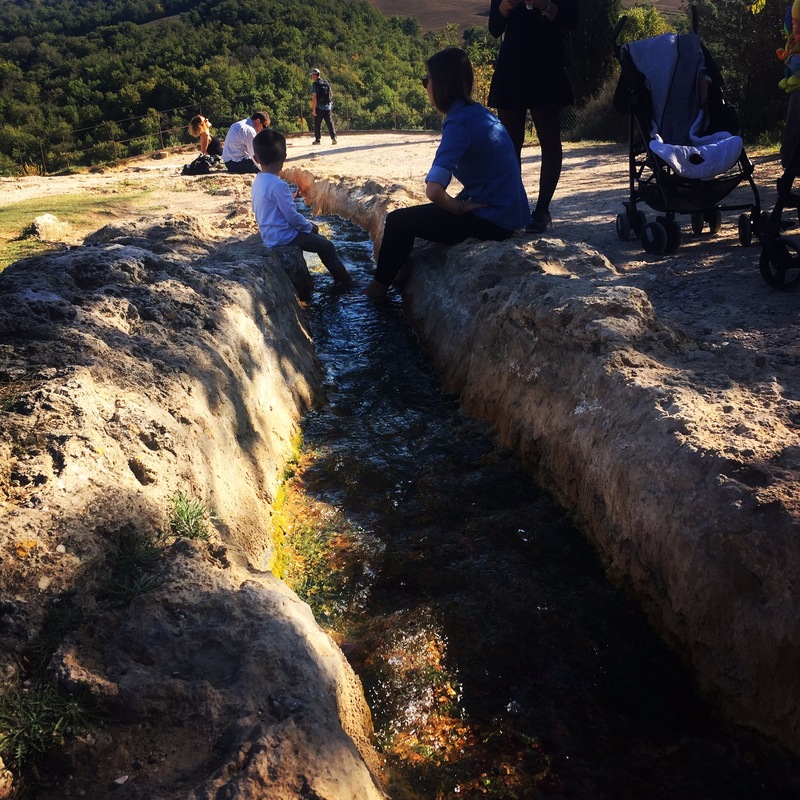 The natural healing waters of this town was best known by the Romans, and today there is a thermal pool with free access, where the waters fall into a natural pool 20 meters below the village having cascaded over a waterfall into Parco dei Mulini. Joining the rest of the Italian tourists we dipped our feet in the thermal water in the small stone cut waterways as centuries of tired travelers must have done before us. After some Sunday morning exercise, well ok a short stroll around the village exercise, we needed a hearty lunch. With good weather, oh yes still in the 30’s and it’s October ! 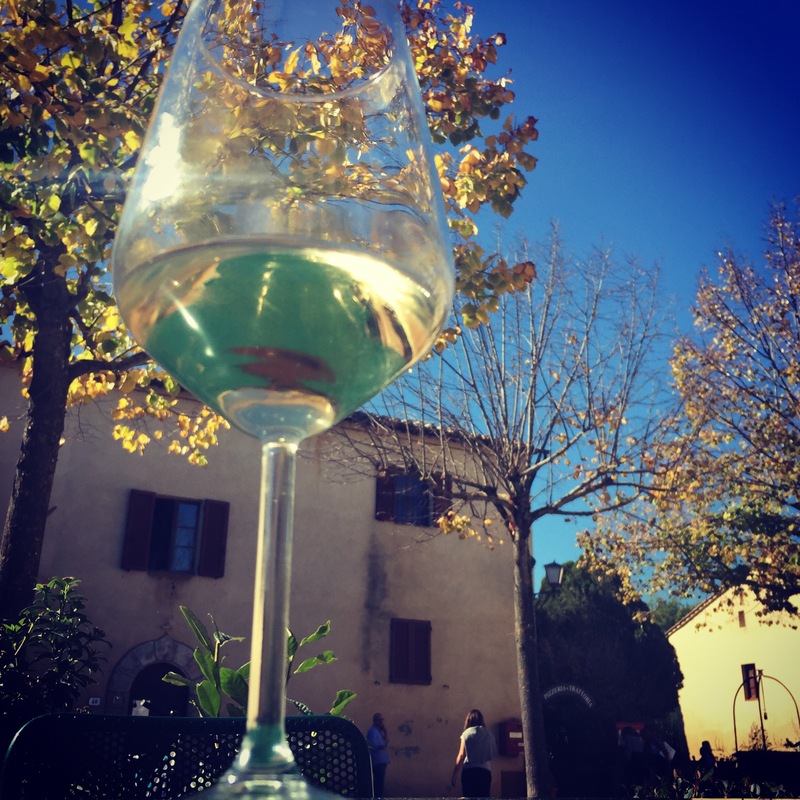 We sat outside in the tiny courtyard of a perfect bar where make your own selection of Tuscan cold cuts, Pecorino cheese and vegetables coupled with a couple of cold glasses of wine a lovely lazy Sunday at Bottega di Cacio.